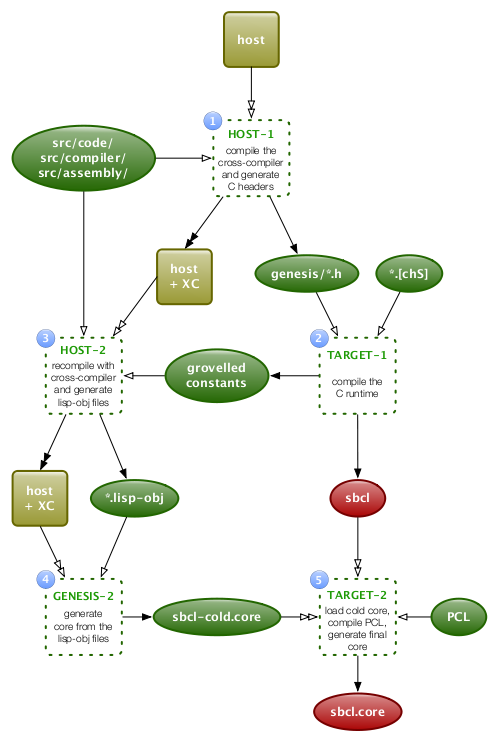 A while back I read Christophe Rhodes's paper “SBCL: A Sanely-Bootstrappable Common Lisp” which describes SBCL's bootstrap procedures. I'm interested in hearing any comments you might have. If you already know how the build process works, does it make you cringe? If you are vaguely familiar with (parts of) the process, does it provide you with some sort of new insight? Given that I haven't included a legend, does it make any sense at all?